You asked for it, you got it! It’s an easier way to shop. Now, when you go to The Kwaj Shop, a new “Shop by Design” section will appear at the top of the page, just under the header. All of the available designs will be displayed. When you click on a design, you will be taken to a page that has all of the products available with the design on them. Products at the shop include the highly desired Kwajalein T-Shirts as well as tank tops, long sleeve shirts, sweatshirts, throw pillows, coffee mugs and soon-to-be discontinued cell phone cases/covers. 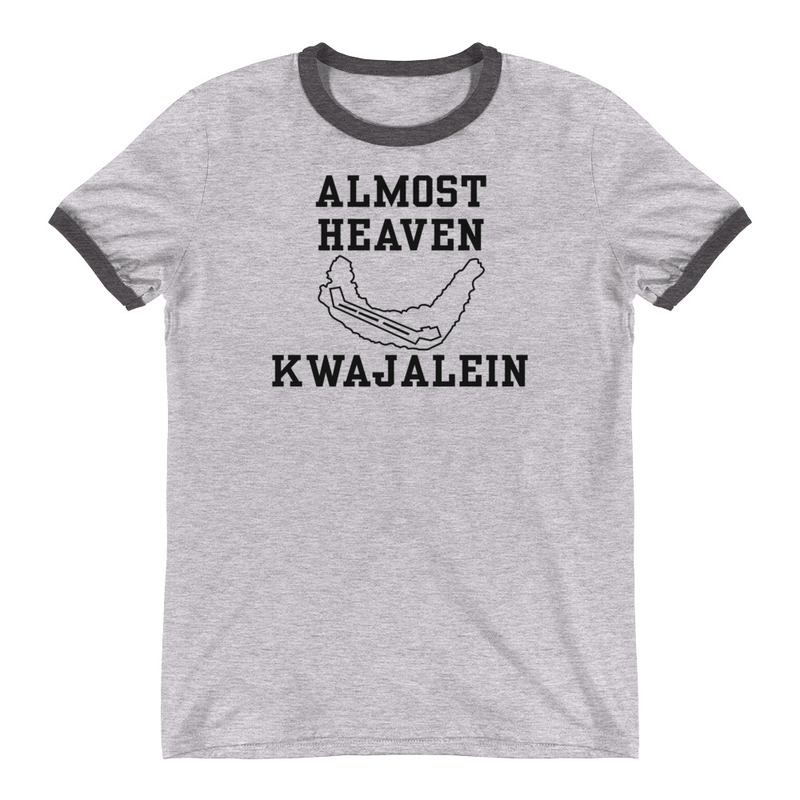 The “Almost Heaven – Kwajalein” t-shirt actually came about as a result of a member’s post in the “Kwaj pictures” Facebook group. The post included a photo of the original shirt, which was quite well worn. It also included a cool story how the poster’s dad had handed down the t-shirt to the poster’s son. I decided to take a shot at redesigning it, to include the original “Ringer” style t-shirt with the bands around the neck and sleeves and in dang near the same colors. It turned out nearly perfect! So, if anybody wants to appreciate the nostalgia of Kwaj from decades ago, feel free to pick up one of these, or perhaps one for an old Kwaj friend. They are now available at The Kwaj Shop! I appreciate your support and patronage. 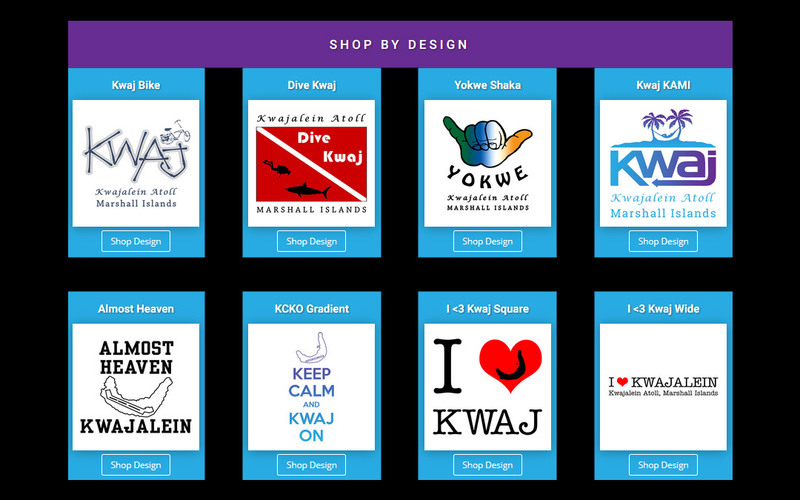 Every purchase that you make at The Kwaj Shop helps me maintain the website/store, the Facebook page and the other Kwaj Net social media properties.